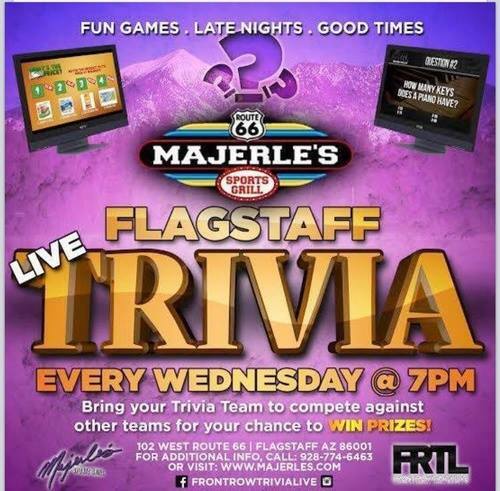 Join Flagstaff Young Professionals for a night full of trivia at Majerle's Sports Grill! FYP will be forming a team to compete for prizes from 6:30pm to 8:30pm. Bring a friend to check out our group or come alone! This is a unique way to network, learn some new facts and have a blast with other local Young Professionals.